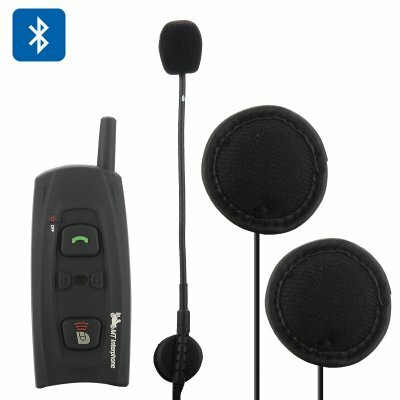 Successfully Added Vnetphone V2-1200 Interphone Headset - Bluetooth 3.0, 1200M Range, 2 User Support, IPX5 rating, Call Answer + Reject, Music to your Shopping Cart. Vnetphone V2-1200 Bluetooth 3.0 1200M Range 2 rider Interphone headset has a Weatherproof IPX5 rating, Supports Music, reject calls and Automatic call answering. If you’re looking for a durable, high-quality interphone headset then you’re in the right place. Vnetphone offers IPx5 rated interphones at remarkable prices and great quality for safer communication wherever you may be. With two sets of the Vnetphone Bluetooth Helmet headsets you can enjoy full-duplex wireless intercom talking between rider and passenger or Bike-to-bike so two separate riders can communicate at rages up to 1200 meters. It’s not only motorcyclists’ that can benefit from this headset, many mountain bikers, cyclists, skiers, snowboards and other outdoor enthusiasts can take advantage of its benefits. This allows them to keep in touch with those around them, receive phone calls, listen to music and get navigational directions from a GPS unit all hands free by using the Vnetphone Bluetooth interphone headset.